Skye Biologics produces leading biologics solutions, and we are continuously looking to collaborate with prominent surgeons to perfect our products and applications in numerous procedures across a range of specialties. Our physician evaluations have helped us successfully develop our extensive product options, delivery systems, and application techniques and further our collective goal of improving patient care. Skye’s ever-evolving product line is tested and evaluated by teams of surgeons, working closely with the Skye product development team, engineers, and scientists. Together, we gain valuable feedback and develop strategies that we incorporate into our industry-leading solutions, allowing us to maintain our best-in-class processing technology advantage. 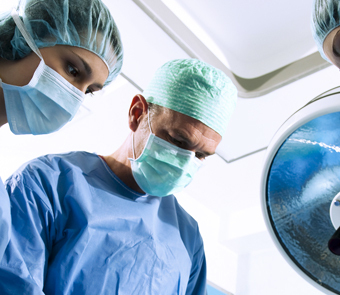 Clinical patient follow-up and research performed by surgeons on intra-operative applications enable us to document the safety and efficacy of our products in a range of procedures. We currently have numerous research programs underway in multiple surgical specialties, from case reports and case series to Level 1 RCT studies. If you are interested in being part of the Skye Physician Evaluation Program or would like to start by using our biologics in an upcoming procedure, please contact us today. A member of our corporate team will call you to discuss your area of interest, and determine how we can collaborate in developing successful techniques and improving patient outcomes.